So, serious coffee question for you today. Are you iced coffee in the summer and then hot coffee in the winter? I am iced coffee all year long. I don’t care how cold it is, I don’t care if it’s snowing. I’m getting an iced coffee. 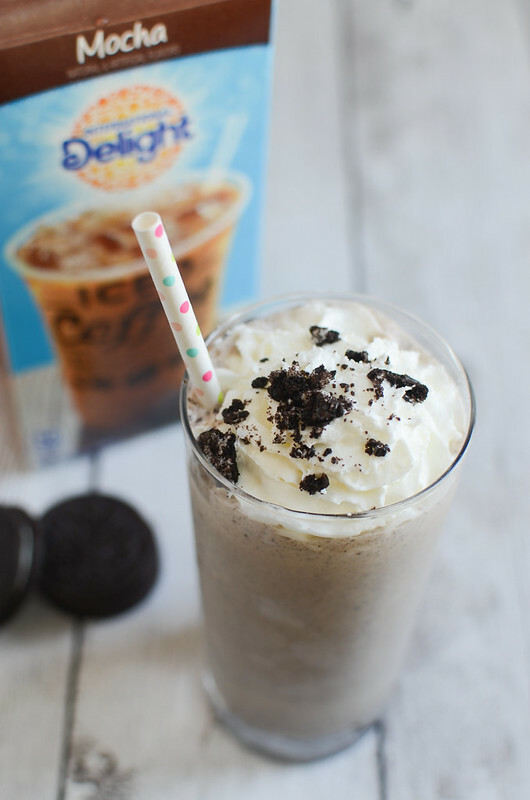 One of my favorites is the International Delight Iced Coffee. It is coffeehouse taste without actually having to leave your house. And you know I love any reason to not leave my house. I picked up both the Caramel Macchiato and Mocha iced coffees last time I was at my local Walmart. 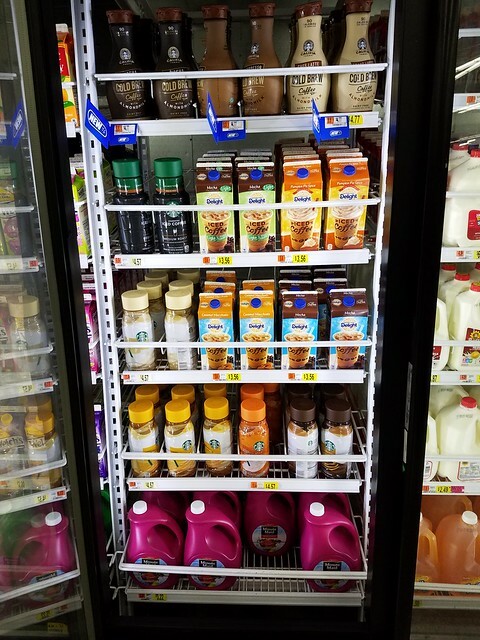 The International Delight Iced Coffee is now located over with the refrigerated juice and tea so keep an eye out for it! I’m obsessed with both of these flavors and I love that for less than the price of one coffeehouse iced coffee, I can get an entire container of the Interenational Delight Iced Coffee. Enjoy the coffee and the savings! They are, of course, absolutely perfect served over ice and they are also perfect for using in recipes like this one! 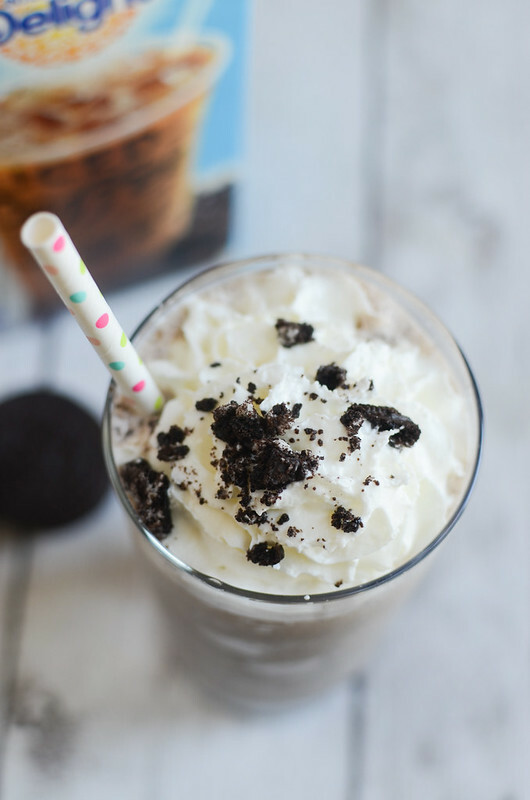 For this delicious milkshake, you use the mocha flavor, some vanilla ice cream, and chocolate sandwich cookies. Blend it all up and top with whipped cream and crushed cookies. So good. I’ve had a touch of a cold all week and this was exactly what I needed. It’s sweet and creamy and has the perfect amount of caffeine for a nice little pick-me-up. 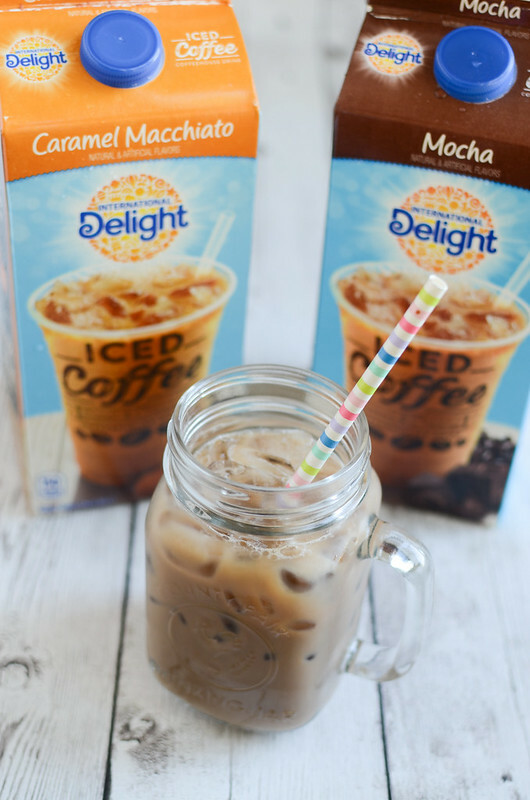 Check out the International Delight Iced Coffee website to see all the products and to find more recipes and ideas! 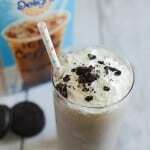 Combine ice cream, International Delight Iced Coffee in Mocha, and 4 chocolate sandwich cookies in a blender and blender until desired consistency. Pout into 2 glasses. Top with whipped cream and crushed cookie.